Always wanted to learn how to prune your fruit trees? Want to feel more confident about it? Some of you may remember I held my first training day last year for winter pruning. It was such a resounding success with great feedback I’ve decided to do it again, only this time bigger! This year we will be holding our first event at a private house with a large walled garden in Buckinghamshire on the 3rd February 2018 . Approximately 25 fruit trees of a decent age to challenge yourself with & 2 instructors on-hand with between them over 25 years experience.Places will be limited so please contact A.SA.P. to reserve your place, all details will be sent through to you Via email as soon as we have heard from you. At this point I’d like to introduce you to Nick Black. 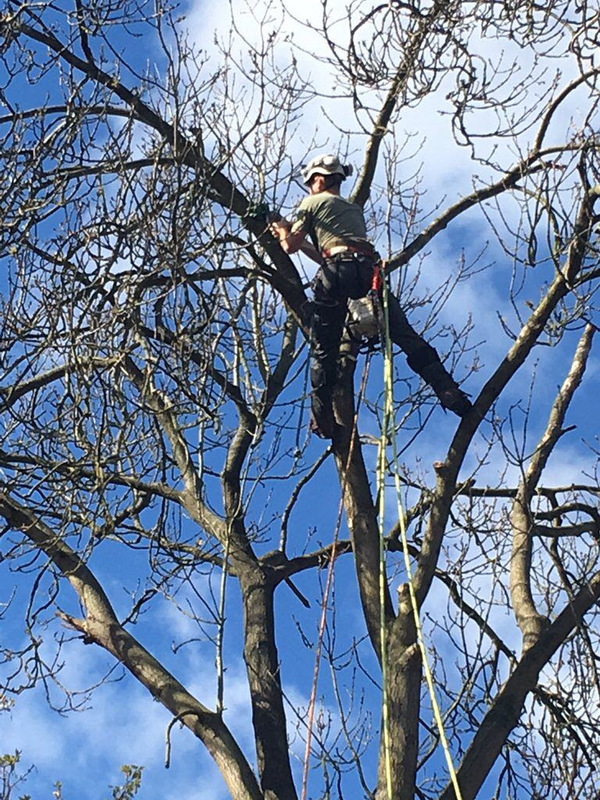 Nick is a fully trained arborist & whilst we don’t expect you to be climbing trees like this his knowledge of both how trees work & horticulture is invaluable. 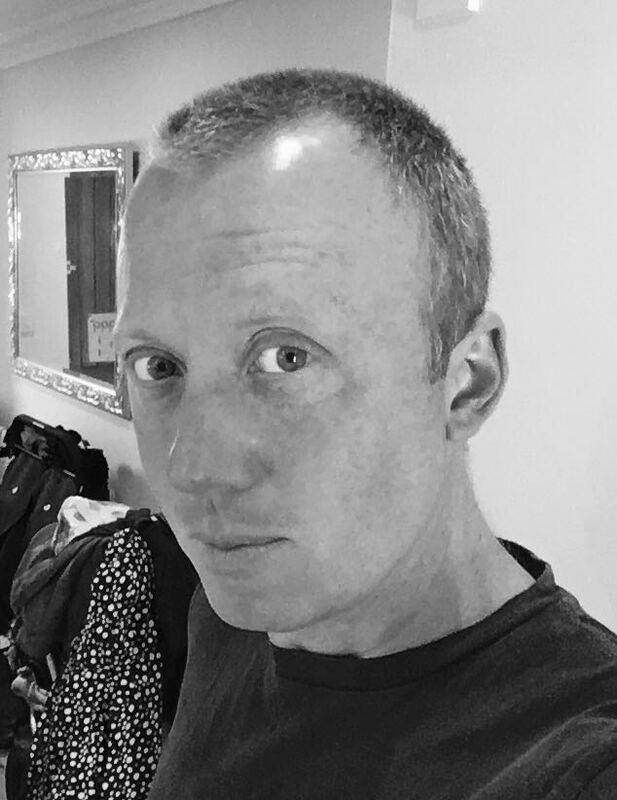 As for me, I have nearly 20 years of looking after fruit trees under my belt, trained at Pershore college under John Edgerly, then at Ryton Organic gardens, I moved onto become the Veg gardener at Sissinghurst where we established a large Orchard under Amy Wardman who had been the Fruit student at RHS Wisley and was very generous at passing on her knowledge. I was there that I first started training people to prune fruit & it gives me great joy to help people become confident and proficient. The day will start at 10am where you will all gather and we can discuss where your skill level is as we are happy to take on absolute beginners through to those that have experience & want to progress. You will be shown all the tools you will need and have their safe use & maintenance explained to you. Then we will go through pruning maiden trees to establish the correct framework for freestanding, espalier, fan & other styles of fruit trees. After a short break, to warm up & refuel on hot tea & cake, we will start to tackle the big trees! This will give us an excellent opportunity to discuss different methods of pruning & the reasons for it. If you have a tree which has got out of hand this will be exactly what you need! A break for a warming lunch of soup and then..
Once the demonstration is over you will be let loose on your own trees with both of us at your beck & call for advice if you get stuck! I’m delighted to announce in conjunction with All Horts, the horticultural group, I will be running an Apple tree pruning course. The course will be suitable for complete beginners to intermediate level but places are limited in number! I will be passing on skills I have learnt over the last 15 years from John Edgerly (RHS Fruit & Pershore), Amy Wardman( RHS Wisley), Chris Lanczak (Waterperry Gardens) & Ryton Organic Gardens (Garden Organic). 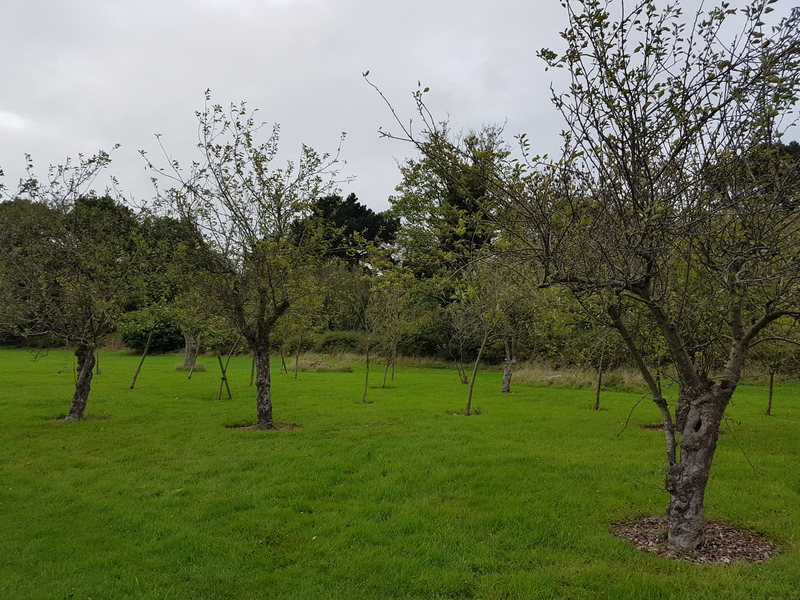 We will be meeting at a lovely private property with some established fruit trees where myself and a trained arborist will take you through the basics, what you can safely achieve and when you should call in an expert! If you would like to get involved please contact me ASAP!